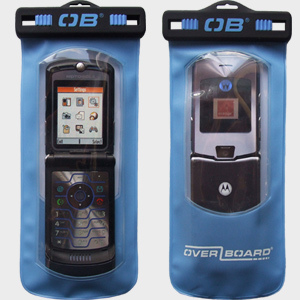 The large Overboard waterproof phone case is suitable for flip phones. 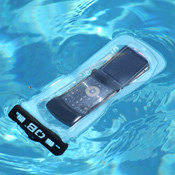 The model includes a "lenzflex" back window allowing you to take very clear pictures underwater with your camera phone. 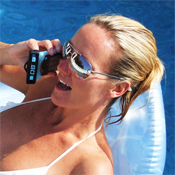 You can make waterproof phone calls when the phone is sealed in the case with no noticeable loss of sound. Constructed from environmentally friendly soft matte EVA, and seals tight with our "Slide Seal System". Perfect for most flip or clam shell phones.